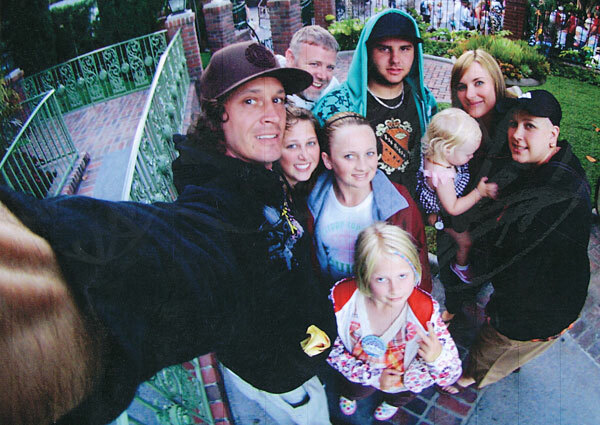 Dina Perouty-Leone, 37, the Maryland woman who weaseled a free trip to Disneyland out of kind-hearted pro skater Bucky Lasek by claiming that she had terminal cancer has pleaded guilty to felony theft and was placed directly in jail, according to a story from United Press International. Perouty-Leone engaged in an “elaborate scheme to obtain money from her friends to fund her lifestyle and not because of an illness,” Assistant State’s Attorney Adam Lippe said. . . Jennifer Lasek, a former classmate at Dundalk High School, said she found Perouty-Leone’s lies easy to believe because she was “sweet and pleasant.” Lasek said she now finds them hard to forgive. . . . Lasek, married to Bucky Lasek, a nationally ranked skateboarder, said she and her husband treated Perouty-Leone and her family to a trip to their home in Encinitas, Calif., last year. She said Perouty-Leone shaved her head to mimic the hair loss from chemotherapy. The woman obviously has serious issues, but it’s good to know she is off the streets now and could be for up to 15 years. Previous post: Zumiez Marching North Of The Border?